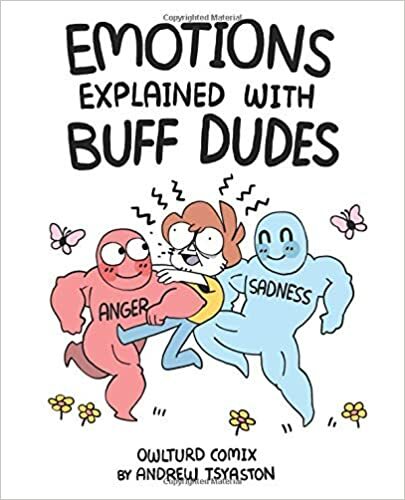 I’ve occasionally chuckled and bothered my wife with a “come look at this!” when comics from Owlturd floated past on social media… but apparently I’m too lazy to actively go out looking for them, so having 100+ pages of them gathered in one place was awesome! As the title/cover suggests, this collection mostly features personifications of emotions, life, personality types, etc. The humor is fairly cynical/pessimistic which appeals to me, even though it probably shouldn’t (as a pastor I may have seen human nature at its worst a little too often). I think that I laughed the hardest at the Type A / Type B personality comparisons as they were pretty spot on for my wife and me. I’ll leave you to guess which of us is which. Overall, this was the funniest thing that I have read in a long time. If your sense of humor tends toward the cynical, you must read it!